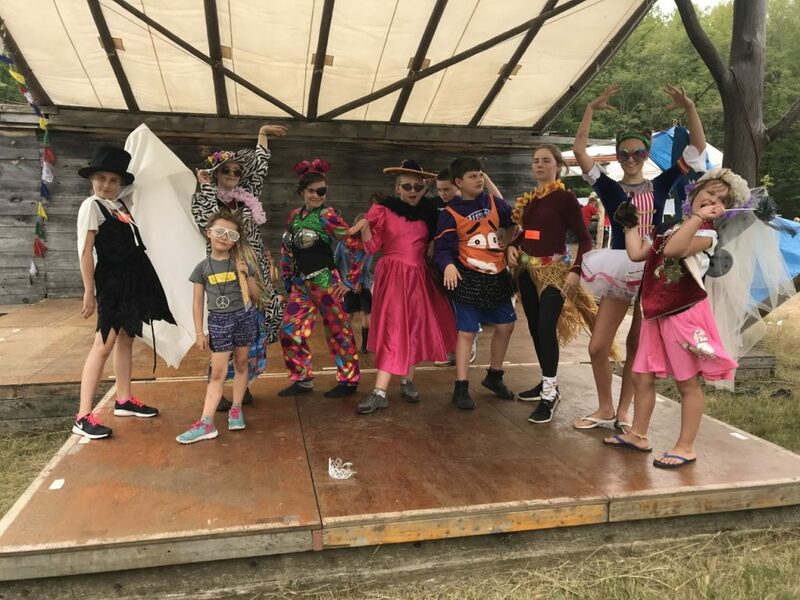 Magical, creative, collaborative, and joyful, Blue Skies Arts Camp is for children, 7 to 13 years old, who thrive in arts-based environments. Under the direction of Jenn Ayer and Janine DeVries, fifty children will participate in five days of workshops and activities which are led by experienced instructors who skillfully adapt their work to the beautiful Blue Skies Festival outdoor site. This Day Camp is located North of Sharbot Lake, ON. near the small village of Clarendon. For further information on the workshops that are offered this year, please click below. Please note this is a first come first served application process and we accept a total of 50 Campers. After submitting your registration, you will receive an email confirming your application was received and a link will be provided to the Waiver Form and payment instructions. If you have any questions please check out our Frequently Asked Questions. The Bursary Program is offered through the schools and applications must be approved in advance of registration. School Bursary Program Registration is open this year from APRIL 1ST to APRIL 12TH, 2019. Click on LINK below for School Bursary Program Registration Form and follow registration steps as noted above. DONATIONS: The schools in the Blue Skies Music Festival geographical area are invited to nominate students they believe would benefit from attending camp through our Bursary Programme. If you would like to support a child by donating to the Bursary Programme please contact Susan Walker registrarblueskieskids@gmail.com Charitable donation receipts for income tax purposes are issued. We want as many children as possible to experience the magic of Blue Skies Kids Arts Camp. We ask that parents and guardians take into account the physical geography of the camp site. Camp takes place on a very rugged piece of Ontario wilderness. The ground is hilly and uneven and the facilities are rustic. Both water and electricity are seriously limited (outhouses, no hot water and no electricity for personal use). If your child has special needs, please contact Jenn and Janine (janinemichelle1970@gmail.com) for further information.